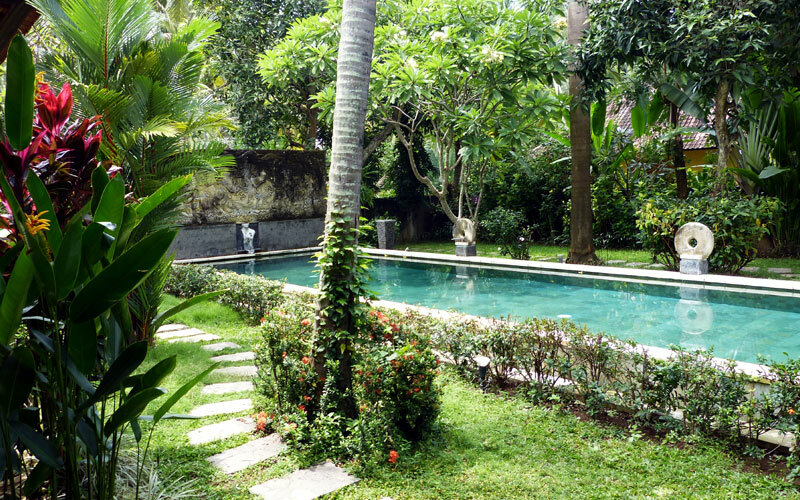 We are delighted to offer this boutique naturist resort on the north coast of Bali. "Bali au Naturel" caters for the discerning traveller who wishes to relax in exclusive tropical, clothes-free and peaceful surroundings, with beautiful landscaped gardens. A perfect backdrop for the demanding traveller in search of nature and luxury. Upon arrival at Denpasar Airport, your driver will take you on an unforgettable 2.5 hour trip across Bali. Once in resort your days can be spent doing nothing at all, except for getting that perfect full tan! 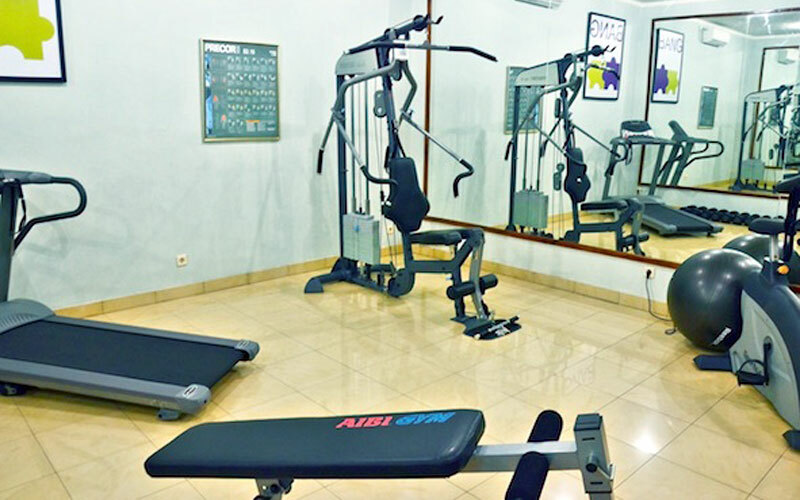 Alternatively enjoy swimming in the two large pools, snorkelling, diving, fishing trips -with the chance of seeing dolphins in the wild, canoeing, the fully equipped gym, massage, pool table and more, all within the resort area. 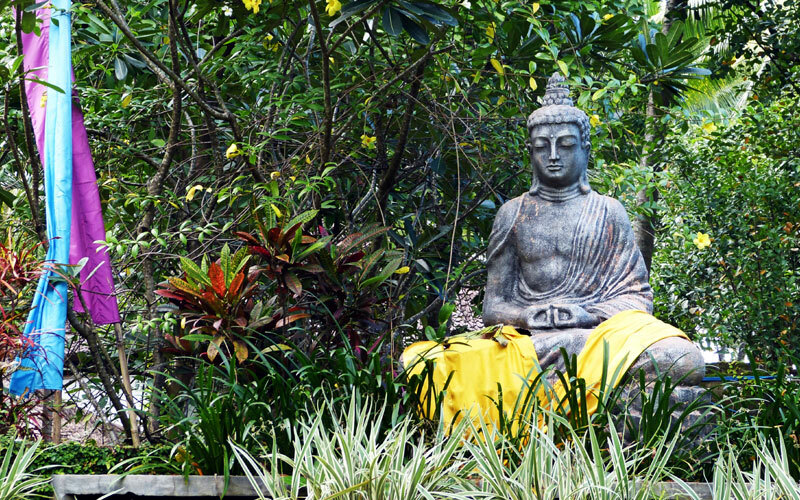 Outside the resort, you can enjoy bicycle trips, jungle and waterfalls visits, experience the local colourful markets and historic temples, where you may attend non-tourist traditional Hindu ceremonies (you will be provided with the appropriate outfit!). Free bicycles are available to enable you to fully appreciate the local area, alternatively car rental or a car with driver can be arranged. 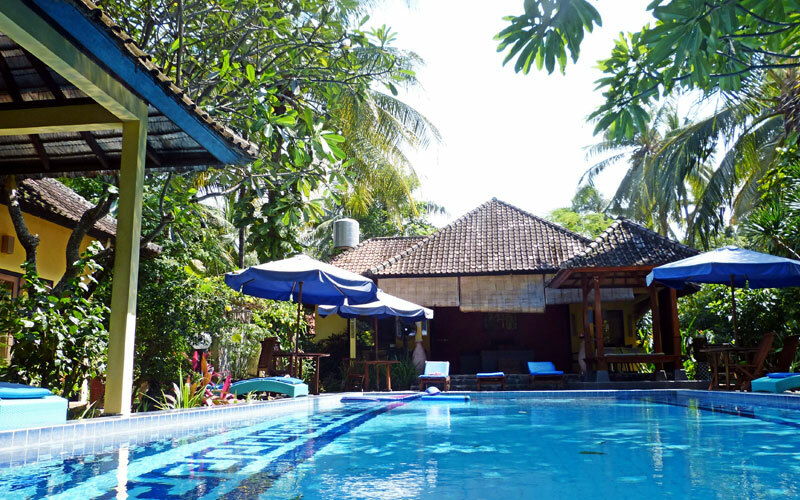 Bali au Naturel is a fully naturist resort and clothing is not permitted around the swimming pool or massage areas. The restaurant and gardens are clothing optional; however, the majority of guests prefer to remain naturist throughout. 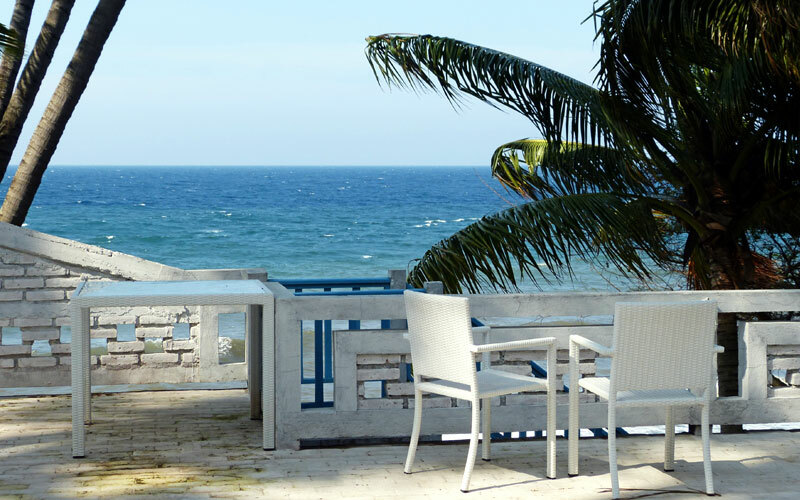 Away With Dune offer this resort on a Room Only or Bed and Breakfast basis. 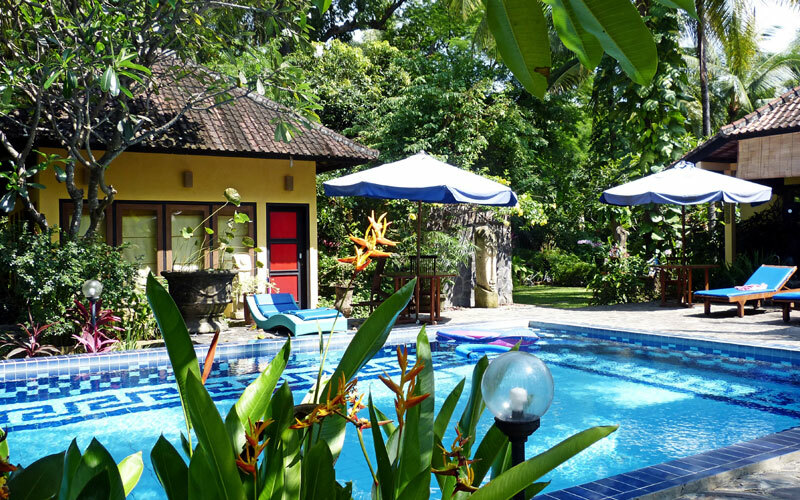 Bali au Naturel offers a selection of accommodation. Select from standard rooms, deluxe rooms, eco-friendly bungalows or a private two bedroomed villa. All rooms have air conditioning and free Wi-Fi (except the bungalows), ceiling fan, colour TV, mini bar (payable locally) and DVD player. 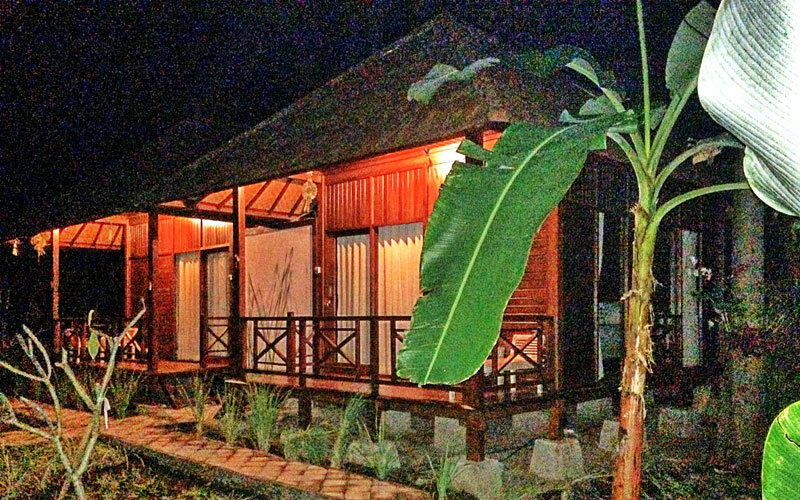 The bungalows offer a private balcony. The resort has its own restaurant - Mock Kitchen - serving a great selection of local and European foods. Breakfast is served daily along with dinner from 6.30pm. Luncheon is also available by reservation. We highly recommend the Nasi Goreng! This is a unique resort and is situated in a quiet area of Bali away from all the hustle and bustle of the well-known Kuta area. 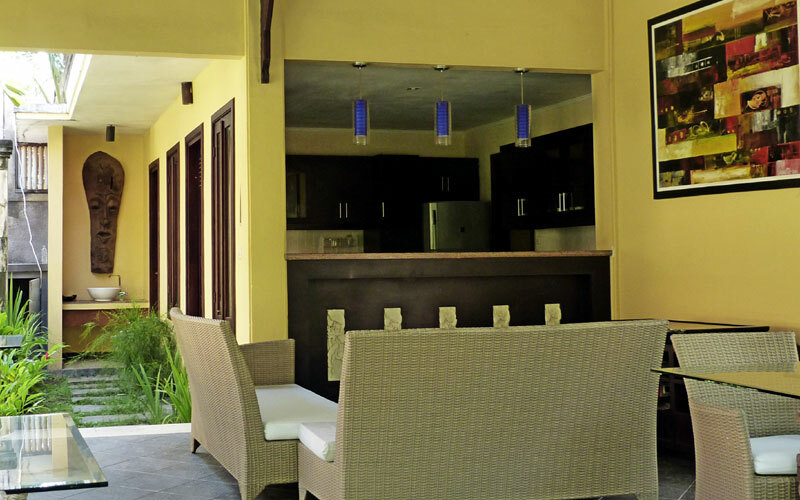 It offers guests a chance to really relax and enjoy the traditional Bali, in an intimate and stylish naturist resort.